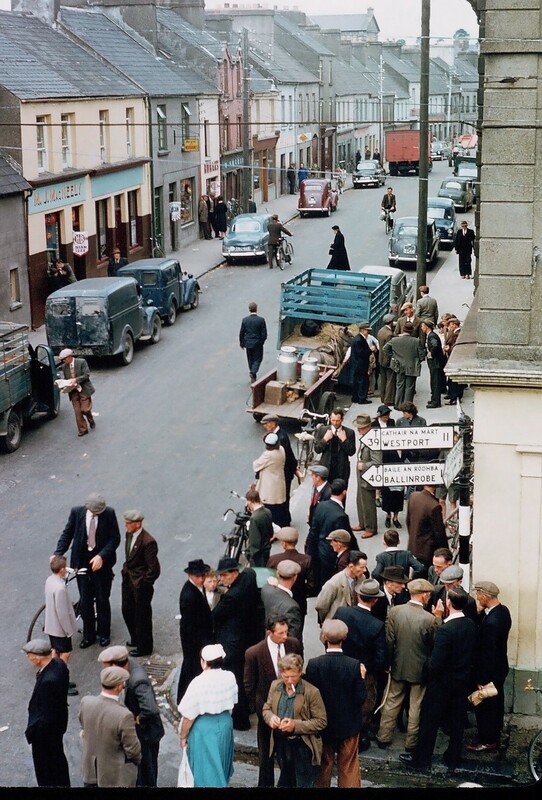 Bonamh Market & Heritage Day - Castlebar, 23 August 2014. After the success recently in Castlebar of community and festival days, the traders of Rush St., Castlebar have decided to host their own special day. 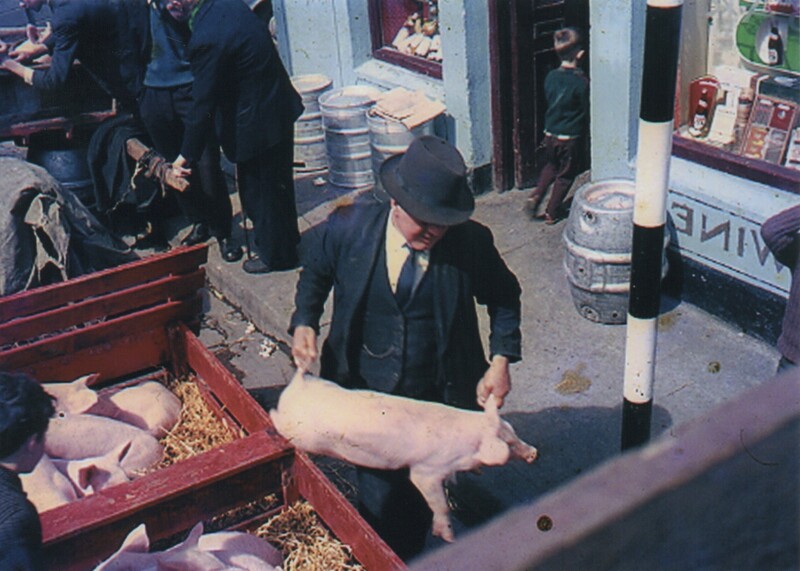 In association with Mayo Heritage Week, they will be bringing back for one day only, the traditional bonamh and farmer's market that took place for years every Saturday morning on Rush St. This promises to be a great day of fun for everyone, as they will host a "heritage day" around this. There will be a thatcher, a woodturner, a tinsmith and many more crafts people demonstrating on the day. Castlebar men's Shed will have their forge set up and will be showing the old skills on the day. There will be an opportunity for people to have a go at the old games of pitch & toss, skittles etc. A busking competition will take place throughout the day with cash prizes for first and second place. Food vendors will join in the fun and the centre piece will be a "pig on the spit". On display also on the day will be traditional artifacts, old cars and old tractors and farm machinery. This promises to be a unique day and will reflect the history of Castlebar. CRC FM will broadcast on the day from Rush St.
St/Charles area long after the original fairs ended. The bonamh market was intermingled with the calf market. Moores Almanac used to refer to the fairs at that time in town. A baby chick market was held as well as a dilisk stall on the bridge. Large trucks full of clothes used to park and sell the stuff off the back. 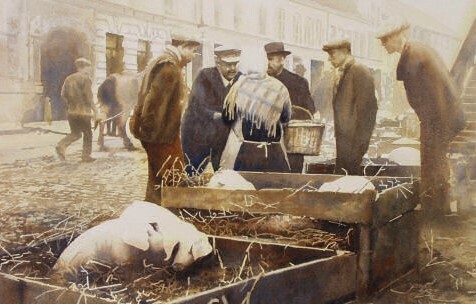 The organisers would love to hear from people who might have photos from that time or any memories of the market. If you took part in the market and would like to take part in the broadcast, please contact 094 9024845 or email chamber@castlebar.ie. People wishing to take part in the day itself should contact above also but space is very limited. Pitch and Toss is a very simple, traditional game. It is amazing to think that such a simple game could get men to pit themselves against each requiring accuracy and skill together with the exciting uncertainty of a straightforward gamble. Each of the men involved stood eight or nine yards away from the "Mottie" which was a stone (medium size) placed on the ground. All took turns in "pitching" a coin to the "Mottie", with the aim of being nearest to the target. Whoever owned the coin nearest to the target won the right to toss his coin straight up in the and he would keep the coins which showed the same face as his coin on landing. If he threw a "head", he kept all coins heads up. These coins used in Pitch and Toss in some places were referred to as "Gilleens". It was a 50/50 bet but some believed there was a skill attached to the tossing so as to ensure getting the coin face up the same as the majority of coins on ground. Some even kept a "lucky penny" in case of coming on a game. Research says that some regular players used what they referred to as a "Fecker" - a simple small narrow piece of stick on which the "Gilleens" were placed rather than on the fingers before being tossed. Years of use had given the "Feckers" a patina of polished sweat and dirt which ennobled the simple piece of timber and raised it to the ranks of a venerable antique. When the game ended the men would each give a small coin to the "Boxer" - the unemployed man or the youth who's job it was to pick up the tossed coins or "Gilleens" each time and to hand them on to the next person whose turn it was to toss.